You’ve decided to bring home a new bundle of fur. It’s important to plan in advance prior to bringing the kitten home in order to keep her safe and happy and to ease the transition from the shelter or breeder. Kittens required special care, just like human babies, those first few days or weeks while adjusting to the new home. If possible, plan on bringing your kitten home when you will have a couple of days to help your kitten get used to the new environment. I remember the anxiety I felt when choosing to bring home a new kitten after losing Sweet Praline. It had been 16 years since a kitten had been in my home and a lot had changed in my life. I was living in a larger home, I was older, and I was working in a full-time job with a lot of travel. I searched the Internet and talked with friends about bringing home a kitten. I wanted to share some of the things I learned about bringing home a new kitten with those of you who are considering bringing these lovely pets home. Here are 10 tips for helping to make your home kitten-friendly. Disclosure: The products mentioned in this post are favorites of mine and are not currently sponsored by any companies. Cat Carrier: Kittens and cats should always be transported in some type of carrier when in the car. 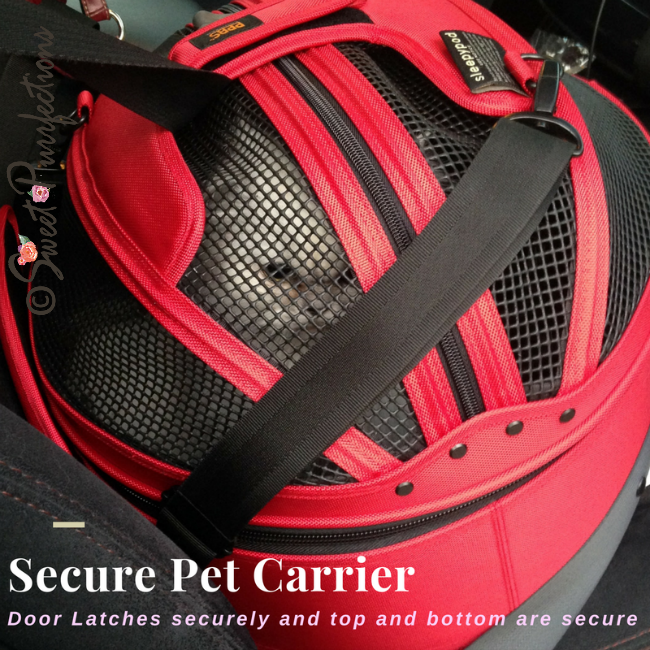 There are hard and soft carriers, but make sure you select a carrier that is sturdy and safe. Carriers may secure the kittens in through a door with latches, zippers, or Velcro. Ideally, you should select a carrier with an opening on both the side and the top. Place a towel or blanket that smells like the previous home in the carrier for warmth. If possible, make arrangements ahead of time with the location the cat is living to bring a towel the kitten can sleep on for several days before you pick her up. I strongly recommend the Sleepypod® Mobile Pet Bed because of the success with safety tests. I started with a hard carrier. It opened on one end and I had to secure the sides with cable ties to make sure the top wouldn't separate from the bottom. The problem with this common type of carrier is the difficulty in getting the kitten in and out of the carrier. Make sure the door is secured before bring the carrier outside and be sure to secure the carrier with the seatbelt in the car. The next carrier I had for the girls was a stylish soft sided carrier with netting. Truffle loved this carrer, but on the way to the vet, she worked the velcro-closing open and made her way out in the car. I had no idea a kitten could be so strong. Soft-sided carriers are nice, but I recommend doors that are secured with zippers, such as the Sleepypod Air. I now use the Sleepypod Mobile Pet Bed for the girls when traveling. It's comfortable, secure, and safe. There are two ways to open the carrier: through the zippered top or by unzipping the cover completely. My veterinarians love this carrier because it is easy to take the girls in and out and if necessary, they can examine the girls in the bed portion. Cat Bed: Prepare a bed for your new kitten where he can stay warm and feel secure. Cats like to sleep off the floor. The bed can be a cardboard box with a blanket or a fancier bed from a pet store. The bed should be in a quiet place, away from household traffic. Truffle and Brulee don't really sleep in pet beds, unless it's really cold. I do have blankets throughout the house on the chairs, sofa, and beds. They prefer really soft blankets, especially their Peggy Blankie that was handmade for them as kittens. They do like to sleep in the bed of their Sleepypod Mobile Pet Bed with the cover removed. Litter Box and Litter: The rule of thumb is you should have one more litter box than the number of cats in the household. A kitten may need a litter box with low sides at first, for easy access, and the litter should be the same type of litter that was used in the previous home. The litter box should be placed in a corner or secluded spot. There is debate whether the litter box should be covered or open. The litter box should be placed away from the food and water dishes. Continue using the same type of litter the kitten has been using at first. Litter should be low-dust, unscented, and scoopable. Don’t forget the scoop! At first, I had a smaller, open litter box when the girls were kittens. I use closed litter boxes at home and the girls are fine with it. I know this because they use the litter boxes. I had to upgrade their litter boxes a couple of years ago to a larger size because I'd read they needed plenty of room to move around. I also have two pieces of cat furniture where I can place a large open litter box inside and this works great for both the cats and me. I've tried several cat litters with the girls. One litter they were using from the beginning changed formulas and it didn't control the odor and wouldn't clump well. After several attempts at a new litter, the one that works the best for us is Dr. Elsey: either Precious Cat or Ultra formulas. I find it clumps well, controls odor, doesn't have a lot of dust, and isn't tracked around the house. Scratching Posts: Kittens and Cats are going to scratch! Make sure you provide an appropriate scratching device for your kittens. There are a variety of scratching devices made with of carpet, sisal rope, and cardboard. They can be a tall pole or a flat surface. 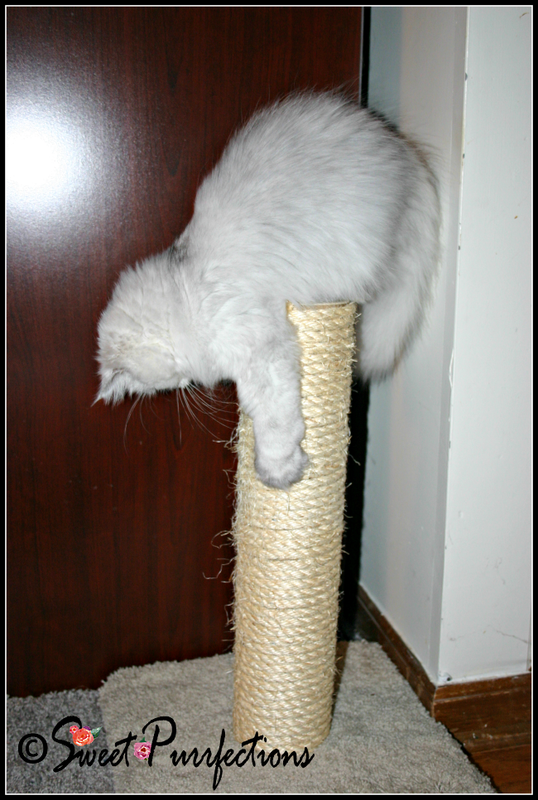 Cats like to stretch when they scratch, so make sure the device is long enough for your kitten as it grown into a cat. I have several scratchers throughout my house. Most are made with sisal rope, but some also have carpet and cardboard. The girls love to stretch to scratch, but recently, they like the horizontal cardboard type of scratchers they can lie down on and rest. Once, Brulee began scratching on the corner of a new chair with different material, so I placed a scratching post at the corner and she now scratches on the post. I don't like to use a lot of carpet only scratchers, because I've found this encourages the girls, especially Brulee, to scratch on my carpet. Household Hazards: Kittens are very curious. It’s important to kitten-proof your home by checking for items a kitten could be strangled with or swallowed. Before bringing your kitten home, get down on the floor to their level and check around. Be sure to anchor drapes or blind cords (I still do this for my 6-year old cats). Bundle electric and phone cords with a cord manager and fasten away from kittens’ reach. Rubber bands, dental floss, jewelry, holiday decorations, balloons, and other small items should be put away in a safe location (remember, kittens can climb and jump). Remove poisonous plants and make sure any roach or ant traps are gone. Keep toilet lids, refrigerator doors, and dryer doors closed. Pay close attention when using recliners. I had to put my surge suppressors inside a trashcan because my kittens were attracted to the red blinking light. I've placed hooks beside my windows to keep the cords from the blinds out of reach of the girls. I keep my storm doors locked when I open the regular door, so they can't slip out. I have to put plastic bags and envelopes behind closed doors because Truffle will chew the corners off of plastic bags and envelopes and once had it caught in her throat. I used to own a recliner, but Truffle managed to get caught once when I was letting the footrest down. It scared me to death when I realized she was trapped inside. Luckily, she wasn't hurt. Brulee climbed between the two recliners in one of my love seats and I couldn't find her. I don't need to watch the girls as closely now as I did that first year, but it's still amazing to me where they can find to hide and the things they can get into. I only have silk plants in my house because of the danger of live plants. Cats have the ability to jump on counters and tables, so putting live plants in those locations is useless. If I receive poinsettias or other plants, I place them on my front porch for decorations because of the danger to my girls in the home. Brulee being examined by Dr. Keisler. Brulee was stressed that day and wanted to stay in the scale, so Dr. Keisler examined her there. Veterinary Selection and Care: Before bringing home your kitten, research the local veterinarians in your area. Call and ask for a visit and consultation with the veterinarian and staff to determine if this is a place you want to take your cat for wellness and sick visits. Search for a veterinary hospital that is accredited by the American Animal Hospital Association (AAHA). Search for veterinary hospitals who are identified as a Cat Friendly Practice by the American Association of Feline Practitioners and the International Society of Feline Medicine and veterinarians who are certified as a Fear Free Professional. The kitten should be taken to the vet within 1-2 days after arriving if he is an only pet. The kitten should see the vet prior to bringing him home if you have other pets in the house. The veterinarian should test for feline leukemia virus, feline immunodeficiency virus, ear mites, and parasites. Vaccinations and treatments for intestinal parasites or external parasites may be given if examinations warrant it. Kittens should be spayed or neutered by six months of age. Consider microchipping your kitten when he/she is spayed or neutered. My cats are examined and treated a Cherokee Trail Veterinary Hospital. Cherokee Trail is AAHA accredited and is identified as a Cat Friendly Practice Gold. Several vets are trained as Fear Free Professionals and they are encouraging members of the staff to receive this credential. They have separate examination rooms for cats and provide kits for those fearful kittens/cats who are a challenge to bring to the vet. Introducing Kittens to Other Animals: Have all current pets checked by the veterinarian to make sure they are disease-free. The kitten should be placed in a separate room away from the other animals to allow time for them to get used to the smells. Once the kitten feels comfortable, you can begin short introductions between the animals, but make sure you stay in the room. There is no set time frame for when it’s safe to leave them alone together. Some kittens will be comfortable immediately and want to be around the other animals, while some may need several days. Always supervise interactions with other pets until the kitten is fully grown. I was very lucky with Truffle and Brulee. Truffle had lived with me for two months before Brulee came to live with us. Truffle was 5 months old and Brulee was approximately 9-10 weeks old. Terri brought Brulee to my house and helped with the introductions. Truffle was a little hissy those first couple of days, but Brulee appeared to have no fear. I stayed in the room with both of them those first couple of days. Truffle would get a little rough with Brulee and I'll pull Truffle away from her, but Brulee would jump up and go back to playing with Truffle. By the end of the second day, they were sleeping together. Toys: Kittens have a high energy level and need to play. Choose cat toys carefully, avoiding buttons, bells, or other small parts that can come off and be swallowed. You should not leave string, yard, or ribbon out for the kitten to play with because they are dangerous if ingested. Feeding Supplies and Food: Food and water bowls. Stay away from plastic because it can harbor bacteria. Consider purchasing a water fountain to encourage your kitten to drink plenty of water. Keep feeding the kitten the same brand of food she was eating at first. You can change brands later, slowly over the course of a week by mixing the new brand with the old brand. Choose a food that is appropriate for a kitten. Proper nutrition is especially important for kittens because they need two to three times as many calories and nutrients as adult cats. Feed a high quality, name-brand kitten food with the American Association of Feed Control Officials (AAFCO) statement on the bag or label until she is approximately nine to twelve months old. The AAFCO seal indicates that the diet has been shown to contain the proper nutrition for kittens. Don’t give kittens milk. Additional Cat Supplies: Breakaway Collar and Identification Tag, Nail Clippers, Grooming Equipment, Cat Toothbrush and Toothpaste. 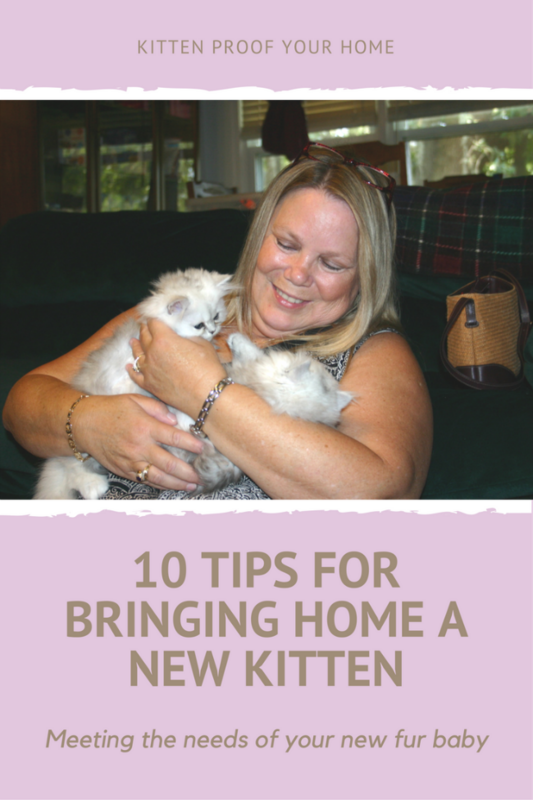 I hope this list of helpful hints will help you as you bring your new kitten(s) to become a part of your home. What tips can you add to the above? Awwwwwwww so cute, too cute, in fact the pictures were so epically cute we had to send the P.A. from the room as she was starting to get idea's about adopting cute kittens!! 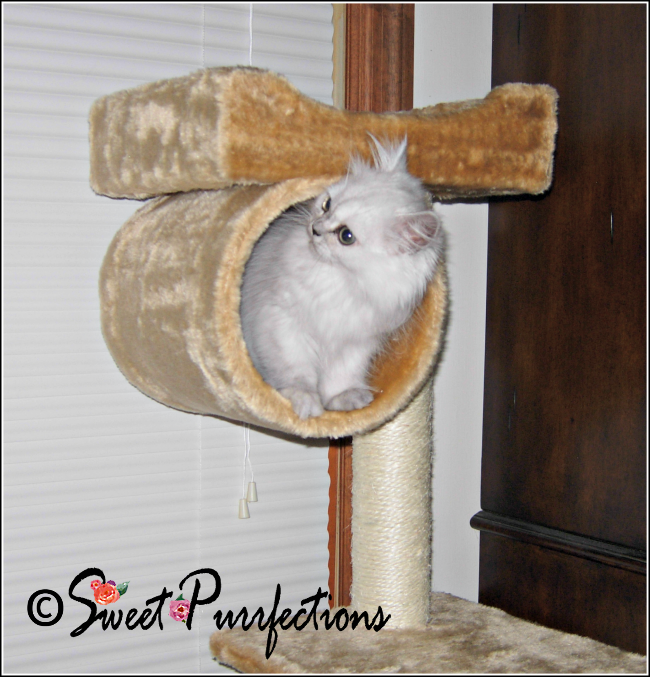 Great post ladies, very informative and thank mew so much fur sharing! There is lots to do when you bring a little furry home and we really enjoyed your guide! What a lovely post. Kittens do ned a lot of preparation!!! These are some great tips. Though we hope the mom isn't planning on bringing home a little bundle of fur here. Fabulous post! Everyone planning to bring home a new fur baby of any age should be informed and reminded of your tips. My human cringes when she thinks about how she used to bring home kittens - her soul cat, the one before Sparkle, was found on the streets and came home on her lap in the car (fortunately she was a passenger!). She was not checked out before meeting the cat that already lived with my human, and she was expected to use the same litter box as him. My human finally went out and got one of those cardboard carriers to take her for her checkup, and to get spayed! That was 30 years ago... I'm glad she is a lot wiser now! Great tips. And kitty-proofing and dangers are so important to think about. I'm amazed at how many new pet parents don't think about the dangers in a home. Great pointers for new parents. This is a great comprehensive list. You've laid out everything a new kitten owner could need. Will share this post as well. Very helpful. Omg, your girls were the cutest kittens! ❤ These tips are perfect for new cat owners. It's so easy to overlook some of the seemingly obvious things if you've never had a kitten before. They get into everything! It's been many, many years since I brought home a kitten. These tips are also good to follow when preparing for am adult cat. My introduction process was a bit stressful! I've never had a kitten, but I think they are more mischievous than puppies! 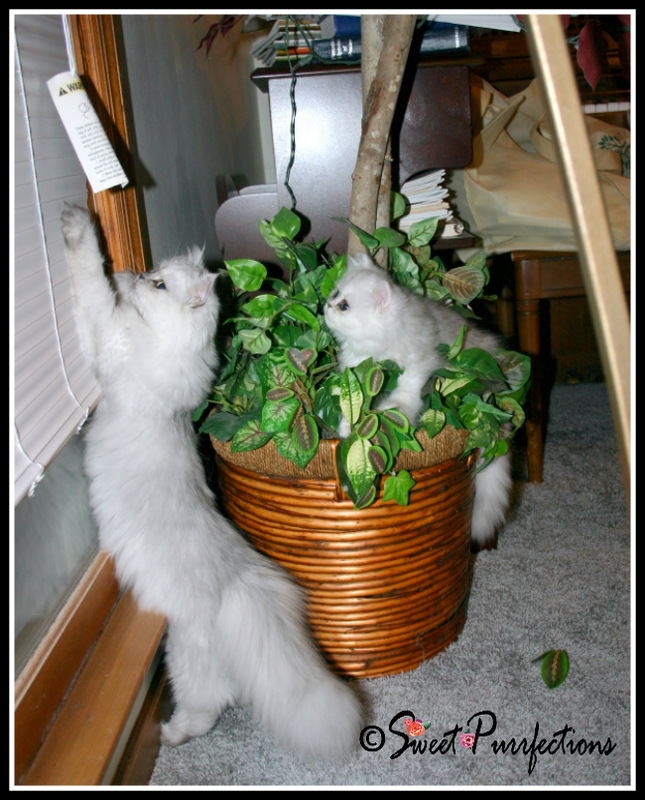 This is a great post to help keep their homes safe for a kitten. These kitten photos are seriously melting my heart. Thank you for writing such a thorough guide to bringing home a kitten!!!!!!! We will have another giveaway for a Sleepypod for our holiday series, so make sure you watch and come back to enter for a chance. Truffle was about 5 months old when we brought Brulee home. The girls mainly eat Royal Canin Persian kibble. They eat a variety of canned food but mainly Wellness, Nature's Variety, Weruva, and Merrick. She wishes she could get the girls off the kibble, but Brulee prefers it over wet. I would add transport them home in a calm fashion! The humane society here turned down someone's adoption because she wanted to transport the new cat in a cardboard carrier on a bike down a crowded industrial street. As much as I love kittens, Truffle and Brulee are enough right now. I'm not sure I would be able to handle a kitten in the future because of my age now, but I do love them. Great tips! Similar things when bringing home a new puppy. :) Carrier, toys, ect. - Shelby G.
Oh, my goodness! These kitten photos of Truffle and Brulee are adorable! These are great tips. I especially like that you pointed out hazards that might not be obvious to some people. Cords are a nightmare. This is such helpful advice, very comprehensive list of what to do when bringing home a new kitten. I love all the safety aspects to this post, some of these things you never even think of in the excitement of bringing kitty home! We haven’t had cats around the house for a few years. This is excellent advice for newbies, and those of us that had some time between kittens!